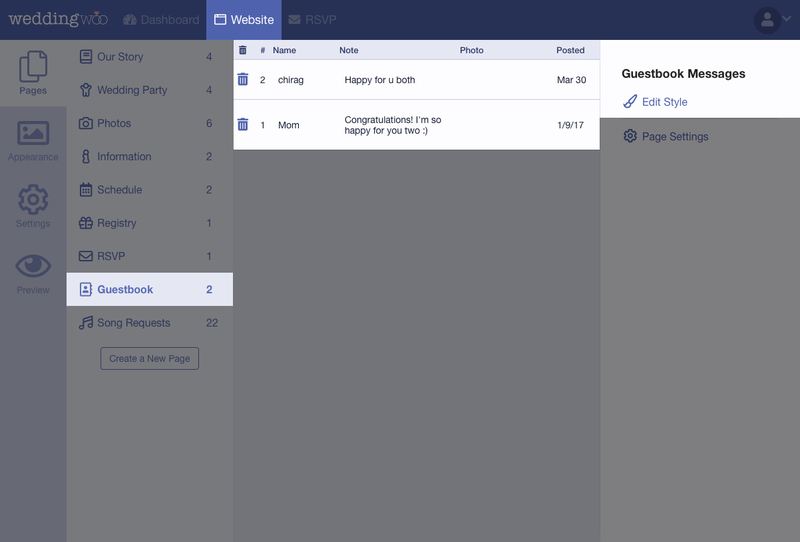 When your guest is ready to post a message on your Guestbook page, they need to fill in their name and message. A photo is optional. This is what the form will look like on your wedding website. All guestbook entries are public and cannot be hidden. You may delete any message you receive. 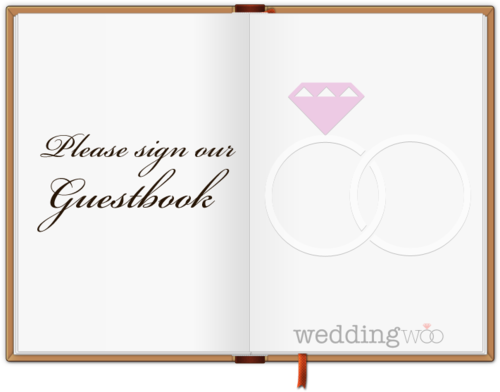 Once you begin to receive messages on your page, you will be able to view all of them on the Guestbook page in your WeddingWoo Dashboard. You have the option to delete any messages that you receive. 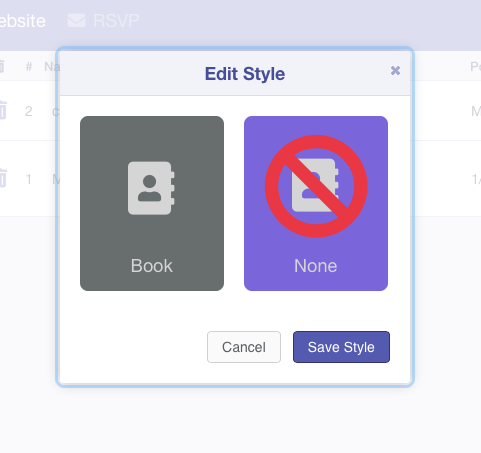 The default styling looks like a book but you can choose not to use this style. There is an option to choose a style that removes the book styling. Look for the Edit Style link on your Guestbook page in your WeddingWoo Dashboard to change the style. We will be sending you email notifications by default for every message you receive. If you would like to disable the notifications, then go to Settings and then Notifications. 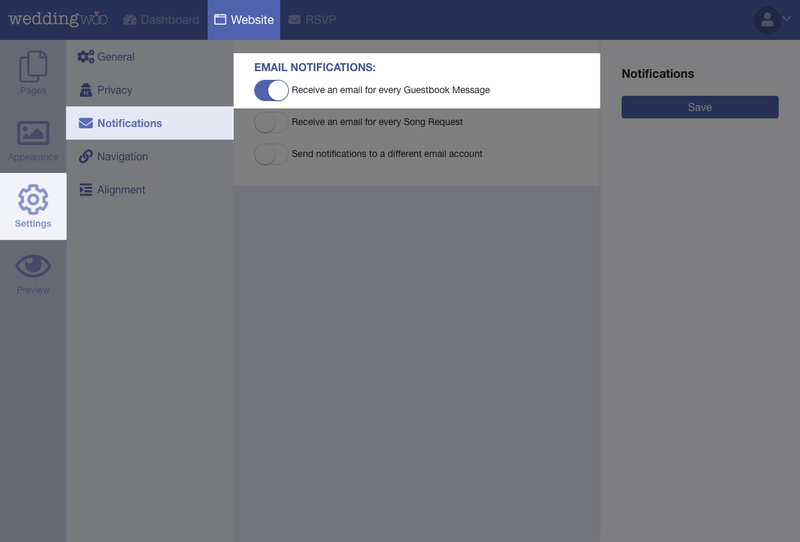 Click on the toggle switch to disable email notifications. You can also change the email of where the notifications go.